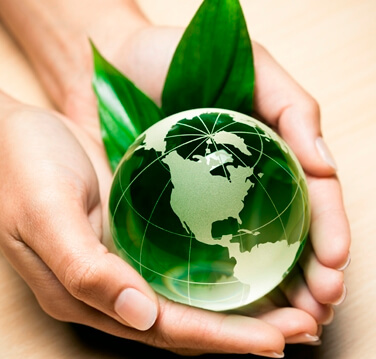 The Future of the Massage and Bodywork Profession – yes it is true as corny as it may sound – it is in our/your hands. The thing is no one is really talking about one of the key issues that is happening right now in the massage profession which could drastically change the future of the whole profession – CPT codes. CPT codes or Current Procedural Terminology code set are specific codes used in billing insurance that describes what work we are doing with clients on the massage table. Currently we have 2 main codes – 97124 and 97140 and a few other codes such as 98112, 97110. 97124, 97140, 97110 and 97112 are Going Away! No more timed codes either! Bye, bye, see ya later, ciao, adios… You have been great! But also a pain in the gluteus maximus. I just heard you gasp too – no more timed codes? How long will a massage be? We are in brave new times. Could you work on a shoulder issue in 20 minutes or less? Could you work on a back injury for over an hour? Yes and yes. There will be a suggested time frame for codes, but nothing concrete. 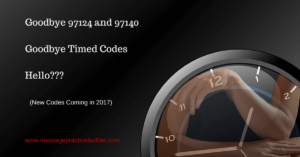 As you may know, the current codes have been in use for over 28 years -probably many more – as I was using those codes when I started my career as a massage therapist. They really do not say much about what really happens when we give a massage. The new codes bring with it the hope that insurance companies will begin to raise their allowable fees especially for those of us in WA who have been hit hard by the lowering of allowable fees by the insurance companies here in the last few years. Since about 2000, when we started billing health insurance here in WA, the insurance companies have paid fair fees ($98-130 an hour) until about 3 years ago when they started dropping them and requiring pre-authorizations that limited benefits. The American Medical Association created CPT code editorial panel about 30-40 years ago. The CPT code editorial panel created the Health Care Professionals Advisory Committee HCPAC and they advise the CPT editorial panel. The Physical Medicine and Rehabilitation Workgroup, which includes physical therapists, Occupational therapists, Athletic trainers and massage therapists was created 3 years ago to work on revising physical medicine and rehab codes. For the last 9 years, the CPT codes have been being looked into and revised to bring new codes that will describe more of what we do as therapists. There has been a CPT Panel created by the AMA in the form of Health Care Professionals Advisory Committee (HCPAC) – Physical Medicine and Rehabilitation Work Group that includes physical therapists, Athletic Trainers, Occupational therapists and massage therapists. The American Massage Therapy Association has represented the massage profession at the HCPAC meetings for the last 9 years and had appointed Susan Rosen from WA State to attend workgroup meetings and work on getting the terminology just right so that in every state, massage therapists will hopefully be able to use the codes. Use of codes varies and depends on the scope of practice that is written in each States licensing laws for massage therapists. Being in WA State, I know of Susan’s long history of working diligently for WA State and the massage profession. She was once the director of the Massage State Board (she gave me my hands on licensing test which was then a part of the licensing requirements in 1987.) She also was a very involved AMTA member and on the government relations committee for many years as well as being a part of the Health Care Integration Committee that helped work with insurance companies when the “Every Category Law” was implemented that allows massage therapists to become contracted providers with insurance companies. She was part of the Clinician Workgroup on the Integration of CAM 1997-1999 that was instrumental in identifying the many issues related to insurance coverage for services considered to be CAM. Susan worked for AMTA as a volunteer to help keep the massage profession in the game and being able to use those codes. The subtle language of the descriptions of the new codes could greatly restrict their use by massage therapists in many states. Knowing Susan’s background, I did not worry about the future of the CPT codes. Susan knows the world of insurance and politics and with her at the helm, I didn’t think twice about any issues around the new CPT codes or what it meant for the future of the massage and bodywork profession. I depend on these codes for part of my livelihood, as do most massage therapists in WA who have been billing health insurance since about 1999 and billing car accidents and workers comp for over 25 years. After all, she had been working to create working relationships with the other panel members for over 9 years. …..until……. screeeeechh…. crash…… bang….. boom….. What the heck just happened? AMTA and Jeff Smoot, current president decided that Susan Rosen should be taken off of the committee and be replaced with a national board member. Smoot decided to choose past president Nancy Porambo who had previously appointed herself to be a part of the coding committee approximately 8 months previously. Porambo is a massage therapist from PA. Glyn Desmond, AMTA National Member at Large from WA, has also been appointed to the committee as second advisor to replace Porambo. Porambo and Desmond have been instructed by AMTA to not talk to Susan Rosen on any matters related to the committee and CPT coding. That means no transitioning, no sharing of info on the issues around creating CPT codes that has been collected for 9 years by Rosen. Frankly, I do not know why they would do this or why they are not allowing for a transition. Furthermore, why can’t all three be on the panel? So what does that mean for the massage profession? The next steps in working on the CPT codes should be further testing of the codes to make sure that massage therapists can use the codes with the work that they do and that the codes will be in every states’ scope of practice. It will also be a very big issue to teach massage therapists how to use the codes. More training in assessment may be needed for massage therapists to be able to use the codes in some states and for some therapists. We will need articles published in the CPT Code Assistant to start the process. Every state will have to start teaching massage therapists how to use these codes. Changing over to the new codes will be a time of great confusion and misinformation that will need to be managed. Other professions on the CPT code panel also have a TEAM (10-12 people) of experts behind them and the Physical therapists have tested the codes extensively. There was a really small testing of the codes with massage therapists in summer 2014. But we really need more testing. We really need a team! We need more input into the code making process. So what can you/we do? You deserve to know more and to be informed of what is going on. Request an explanation of what is going on – why have they done this and what is their plan for this project? 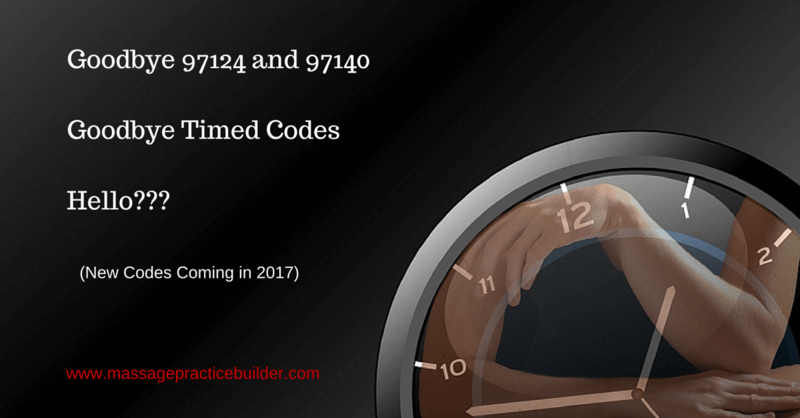 Request that an Expert Team of leaders in the massage profession who understand coding, billing and the issues involved to further test the codes and to help the code process move forward. Request more testing of the codes from massage therapists in the profession. Request more information on when the codes will be released to the public and how we will transition over to the new codes. What training will be implemented? What follow up will be implemented? Join me in my closed Facebook Group – Massage Health Care Integration for more ideas and for sharing of information on this CPT code issue and also on working toward getting massage covered by Health Insurance in Every State. Article by Susan Rosen on CPT codes – AMTA WA Journal (PDF)5r4 pg 22. Note this was published in Nov 2014. The time frames have changed. As a practicing LMT in Michigan I can only bill auto and worker’s comp. I only see personal injury patient’s and am very interested in how possible CPT code changes may impact my practice. Thank you for bringing this issue out and I would like to receive info, as it becomes available, and possibly help in any way I can to see that we are sufficiently represented. I have been treating people for 18 years. Each year “the powers that be” make it harder and harder to reach people who truly need our services. I am also certified to provide MLD but insurance doesn’t cover LMT s to provide. The very segment that should provide this treatment. Hi Julie. I attended the Future of Bodywork symposium back in January, and both Susan and Glyn were sitting on the panel together. Did this move happen after the symposium? Are there hard feelings on either side? Will the fallout from this have any effect on the billing and coding class that Susan is speaking at during the convention? Thank you so much for all the support you’ve provided our profession! That symposium was before all of this happened. Susan was informed she would not be on the CPT panel in mid/late Feb and Glyn was added to the panel a week or so after that. Yes there are very hard feelings on this. Susan will be speaking at the panel on Thursday and teaching in the advanced billing class at convention. She will be talking about all of this at the panel and class!! Thanks very much!